We are proud to announce the arrival of Kelly and Yogi Bear’s puppies on March 5, 2016 . We’re accepting deposits on these babies now in order to reserve them until they're ready to go to their new homes at 8 weeks old on April 30, 2016. These puppies are $935 without papers and $1,535 with Full UKC Registration papers. Please Contact SCOTT before using the Buy Now Button on our website. We have several deposits on upcoming litters. great ON and OFF switch. We expect these puppies to have awesome prey drives, the beauty, brawn and the brains to be outstanding Working dogs, Personal Protection, Law Enforcement K9s, SAR K9s, Arson Detection K9s, whatever the job you need them for they can handle it and do it well. 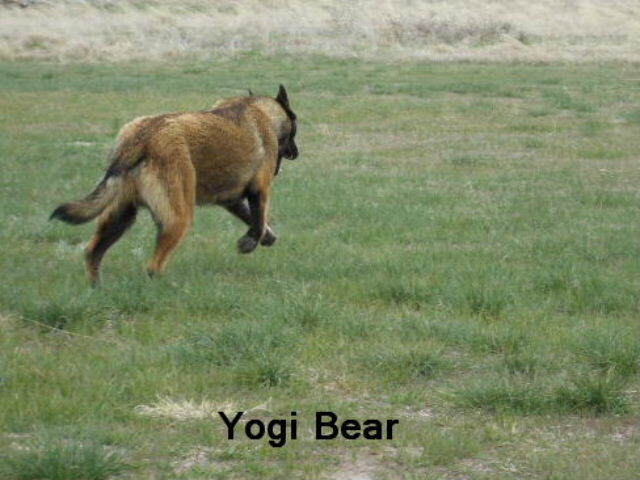 Yogi Bear – Sire. Yogi is a big, stout boy weighing 75 pounds and standing 25 inches at the shoulders. Yogi is out of some of the best lines out there. 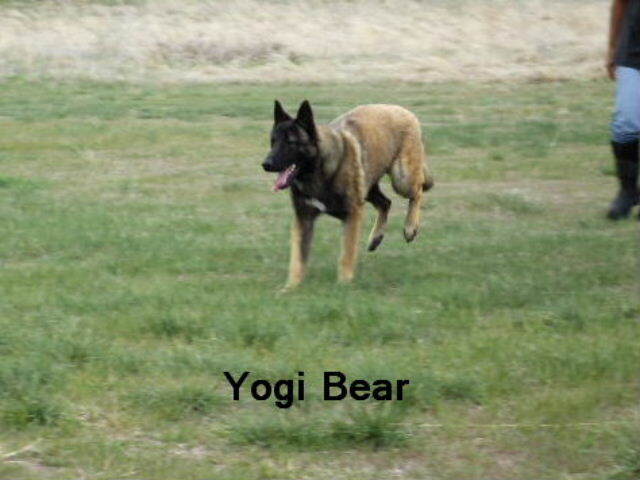 Yogi is registered with UKC (United Kennel Club). Yogi's pedigree has some pretty impressive dogs with multiple Champions and Titled dogs. His Grand Sire is Cedric V. H. Bijsterpark and his Grand Dam is PR Kacy Vom Snavely Hof. Some of the dogs in this Yogi's pedigree are: SCHH 3 AYKO VOM FORSTHAUS VDH/DMC, SCHH3 SG OSCAR VON LOWENFELS VDH, RING 3 HADDOCK DES DEUX POTTOIS LOSH, IPO3 RING 2 KOLOS DES DEUX POTTOIS ALSH, RING 3 VIZIR DU CHRISKAROL LOF, BELGIAN RING 1 FIN 87-1 G'BIBBER ALSH, RING 1 NVBK 82-1, 83-1 CARTOUCHE, RING 3 QUACHA DU MOUSCRONNAIS LOSH, RING 3 SAMY DU MOUSCRONNAIS LOSH, SCHH3 SASKIA VON LOWENFELS VDH, B RING 1 FIN GORDAN (TARZAN) NVBK RING 1 NVBK 68-1 69-1 NVBK, RING 3 JUDO DE LA FECHT LOF, RING 3 URGO DE TURENFELS LOF, RING 3 VIZIR DU CHRISKAROL LOF, RING 3 NERK VAN DE GRENTSSTRAAT LOSH, RING 3 MULOT LOSH, RING 1/B FIN GARI MOLENBECK LOSH, B RING 1 GINOU ALSH, B RING 1 ZINOL DE DOORNPLAS LOSH, KNVP POLICE DOG MONDIO RING 1 PH2 BRONCO PERLE DE TOURBIERE NHSB, PH1 EIK DES DEUX POTTOIS NHSB, PH2 JALK NVBK, PH 1 DONNA (D. v.d. WAL), PH1 FLAPY NVBK, RING 1 NVBK MISSOU LOSH, PH1 FIN NARCILO LOSH, PH1, PH II, KNPV CERT MET LOF ARCO PERLE DE TOURBIERE NHSB, PH 1 MARGO RUMPENERHOF NHSB, PH1 SILVA RUMPENERHOF, PH 2 CARLO RUMPENERHOF AND PH1 EIK DES DEUX POTTOIS. 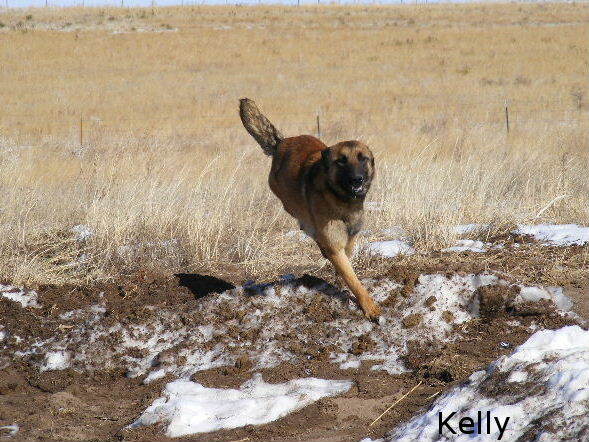 As you can see by the dogs in Yogi and Kelly's pedigree that these puppies are very well bred. SchH III, KIND DES DEUX POTTOIS RING 3 SEL. MONDIO 3, CH. IGOR VON LOWENFELS SchHIII, IPO 3, FH & ROM (CLII-4), NICOLE HD, TC, G'BIBBER BELGIAN RING 1 FIN 87-1, HADDOCK DES DEUX POTTOIS RING 3, CARTOUCHE NVBK, RING 1 NVBK 82-1, 83-1, SIR DE VULCAIN RING 3, VICQY DU FAUBOURG DES POSTES RING 3, NAKITA DES DEUX POTTOIS IPO 3 FMBB 96-37, JECKEL PH2, BRONCO PERLE DE TOURBIERE KNVP POLICE DOG, MONDIO RING 1, PH2, EIK DES POTTOIS PH 1, JALK NVBK, PH2, DONNA PH I, FLAPY NVBK, PHI, MISSOU RING 1, NVBK, FIN 71-1, NARCILO, PH I, FIN, ARCO PERLE DE TOURBIERE PH 1, PH II, KNPV CERT, OTHAR DE LA NOAILLERIE RING 3 FIN, CPG 500 FIN, XJELABA RING 3 FIN, CPG 500 FIN, CARLO VAN KRISTALHOF PH 1, MARCO VAN VELDMOLEN PH 1, URGO DE TURENFELS RING 3, MARGO RUMPENERHOF PH 1, ROCCO PH 1, CARLO RUMPENERHOF PH 2, SILVA RUMPENERHOF PH 1, EIK DES DEUX POTTOIS PH 1, JAMES DES DEUX POTTOIS SchH III, BTR, ZTP, CD, TT, CGC, ROM, CACIB, AM CH ASTA LEHRBACHER SCHLOSS TT, CGC, GAYAL DES DEUX POTTOIS SchH III, DHV, DM 87, EVERY DES DEUX POTTOIS RING 3, JUDO DE LA FECHT RING 3, MOHABIECHT PERLE DE TOURBIERE PROTECTION DOG, GRICO PERLE TOURBIERE IPO III, OSCA PERLE DE TOURBIERE MONDIO LL, KMPV PH L, and SHEILA NHSB, PH 1, KNPV. 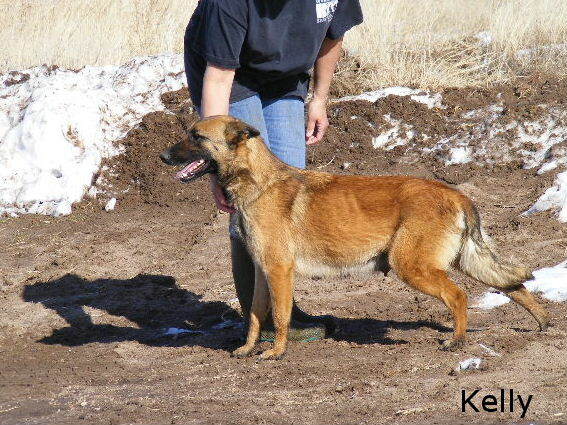 Go to http://www.pedigreedatabase.com/belgian_malinois/dog.html?id=2352145-4-bar-ds-kelly to see Kelly’s Pedigree. Check out our web site at www.4bardworkingdogs.com to learn more about us and see what our previous customers have had to say about us and our puppies. Contact Scott for more information 580-665-1434 or Kathy 580-235-8473 any time. We can also be reached by email at 4bardkennels@gmail.com. We welcome folks to come out and visit with us and our dogs and puppies. Were located in Central Oklahoma. Please call for an appointment. We also offer delivery to the Oklahoma City Area on most, but not all Fridays.